Todd Owsley and Mike Armstrong present a casual take on their current business, but underlying the farm boy cool exteriors are a couple of astute business partners who know their stuff and are savvy enough to stay ahead of the curve. 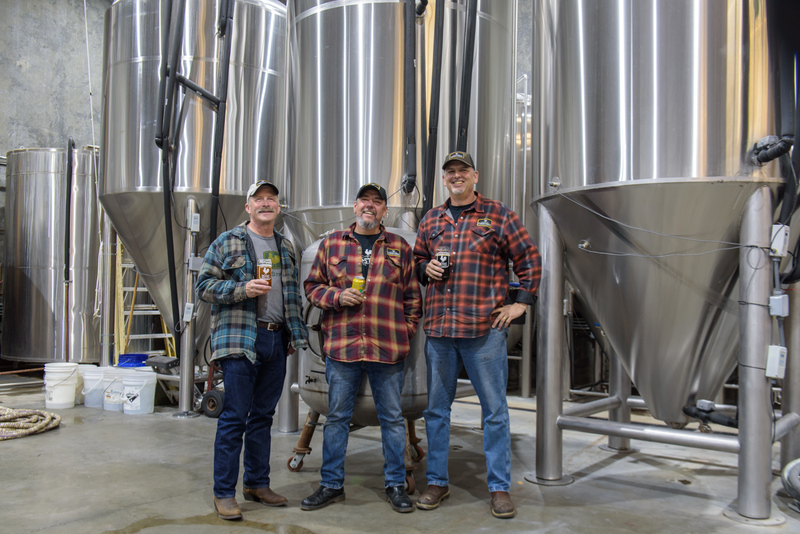 Owsley, with a twenty-year background in distribution and marketing, and Armstrong, with twenty years under his belt as a brewmaster, stumbled upon their business idea doing what a lot of people do – musing about what they would do if they won a lottery. “Open a brewery!” said Owsley. A couple of weeks later, Armstrong came back with a sincere “let’s do it.” To his way of thinking, they didn’t need to win the lottery to realize their dream. The name Farmstrong apparently popped up as a humorous take on Armstrong’s name, with a reference to the Skagit Valley, where Armstrong has lived for 24 years. Owsley, with a background in sales, thought it was actually a good name. With their third partner-Dan Cameron-being a fourth generation Skagit Valley resident who still owns farmland his ancestors once farmed, it made even more sense. Armstrong immediately secured domain names for a web site. Just in case. So, with a name and an idea, the three partners set to work. First, they secured a location – a 10,000 square foot warehouse next to the freeway that had been recently vacated by Sears. (Armstrong saw Sears moving out one day and immediately investigated the possibility of renting the space.) Then they set up shop. 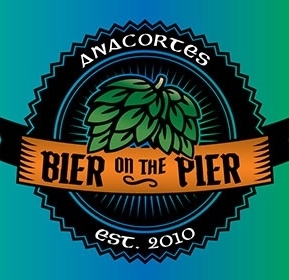 Armstrong took care of the beer part of the business, Owsley set up distribution and Cameron, recently retired from Operations at the Tesoro plant in Anacortes, and with an MBA, provided partial funding as well as solid business advice. Although the story as told by the partners sounds a little serendipitous, as with most successful business ventures, they had years of experience behind them, a solid vision, and the wherewithal to make things happen. Less than a year after securing a lease they opened for business. Their pace hasn’t slowed since. According to Owsley, while they set modest business goals, they are a full two years ahead of their plan. They started with 11 styles of beer. Why? “Because that’s how many taps we had!” jokes Armstrong in his self-deprecating manner. They also started with a notion to keep things local. A tagline the company uses a lot is “grow something!” When asked about this, they respond quickly with many takes on the slogan. It’s easier to grow something than to buy it. It’s important to grow relationships. Everybody should grow something. What they have grown most is relationships. Take the relationship with Skagit Valley Malting for example. One could call this local networking at its best. Armstrong, because of his long history as a brewmaster in the Valley, heard about the concept for Skagit Valley Malting from Will de Remer, who is the head maltster at Skagit Valley Malting and one of the original crew members involved in producing their patented technology. Armstrong liked the idea of being able to use malt from grains grown in the fields around him, so he kept abreast of developments as the company moved from concept to reality to producing product. Today there is a strong and mutually beneficial relationship. Owsley points out that going local isn’t just a ‘feel good’ concept. It makes economic sense, in many ways. Many brewmasters get their specialty malts from Europe, so having access to a local malting company presented a unique opportunity. Using local ingredients reduces transportation costs so that the higher cost per pound of local custom malt products ends up being just as cost efficient as products made by larger companies that have higher transportation costs. In other words, the price per pound for custom malted grains may be more, but being able to drive the company truck over and pick up the malted grain for just a few gallons of gas more than compensates for the difference. It also keeps money in the Skagit Valley. And one of the core principles of Farmstrong is to be an asset to the community. What better way to do that than to contribute to the local economy, not just take from it? With the availability of local grain varietals, Farmstrong works directly with Skagit Valley Malting to experiment with custom malt batches. When he got a bug to try something new, Skagit Valley Malting needed little convincing to help Armstrong test what he calls his Fiery Theory. It’s a concept that hadn’t been tried since 1890. Armstrong arranged with Skagit Valley Malting to pick up freshly malted NZ 151 grain that was still 150 degrees warm. Most beers are made with malted grain that has been cooled because the theory is that the hot temperatures will prohibit the malt from being extracted, as the grains won’t separate properly. Armstrong tasted the hot grains to see if they would release the flavor instead of becoming gummy and thought they were fine, so he created his first batch of Fiery saison. And he liked it. So did others. Now he’s planning to try his Fiery theory on multiple styles of brews. That’s just one example of how Farmstrong is working with Skagit Valley Malting to create something original to the valley. While tasting multiple beers from their taps, Owsley explains that he doesn’t have the sensitive palate of the brewmasters in the company, but he noticed a taste in every beer that, as he puts it, “tasted like the valley.” It was a certain terroir, to use a wine tasting term, and everyone agreed they wanted to make that a signature of their beers. 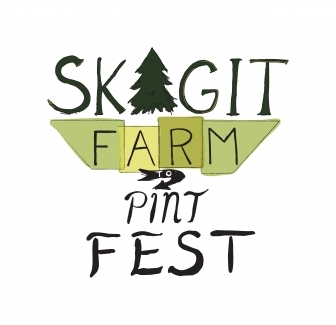 So much so that nine out of 11 beers currently on tap are made exclusively with Skagit Valley Malting products. Ultimately, the company would like all their beers to be made with locally malted grain. Just as there are wine regions that have a distinctive flavor, Farmstrong believes their beer is distinguished by a specific regional taste. 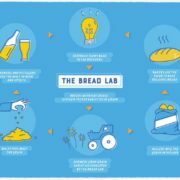 Having a strong partnership with a local malting company, as well as the farmers who grow the grain, gives them a distinct advantage in creating their own, unique brews. 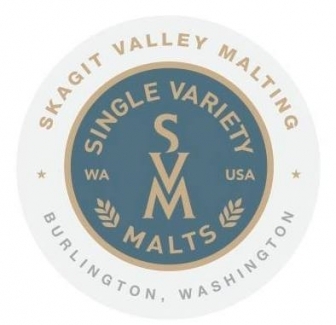 Currently Skagit Valley Malting offers three core base malts (Copeland, Alba and Skagit White Club Wheat), five exploratory varieties, seven specialty series and has the ability to produce custom malts in small and large batches. In other words, there’s more than enough available to keep the flavors interesting. 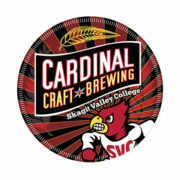 Armstrong is such a respected community member that he was asked to assist in the designing of the curriculum for Skagit Valley College’s Craft Brewing Academy. Since that program started, Farmstrong has hired two of its graduates as assistant brewers. Farmstrong sees it as a great place to spot new talent and says all the local microbreweries benefit. Farmstrong gives back to the community in other ways as well. Recently they created Zeek IIPA at the request of Seattle’s PCC markets. For the Zeek IIPA, Armstrong is using Skagit Valley Malting’s Pilot Pale and Dark Munich malts. For every bottle of Zeek sold, .25 cents will go back to the Skagit Valley community to as a contribution to fund a beginning farmer scholarship through Viva Farms. Viva Farms is a non-profit business incubator that not only trains up-and-coming farmers, but also helps experienced farmers establish their own business while minimizing initial start-up costs. Not surprisingly, Viva Farms is a favorite non-profit of Farmstrong to support. With foresight, they understand that it’s critical to continue to support farmers to keep the Skagit Valley a successful agricultural area. The partners are a little cagey about their future. They talk in general terms about wanting to take care of their employees (there are 11), about making their space a gathering place for locals, and about gauging the trends in the beer industry. This is where years of experience is evident, as they pay attention to what’s trending and can respond quickly with their own take on things. For example, many brewers feel IPAs have peaked in popularity since the revolt to big American corporate breweries’ bland lagers has been the only option for years. Lagers are one of the best beers to showcase the flavor derived from malts and microbrews are proving they don’t have to be bland. Without the heavy hops, one can start to taste the different flavors of all these interesting grain varietals. Astute beer lovers are following this trend, causing the popularity of lagers to rise. As the beer-consuming public becomes more knowledgeable, it’s likely consumers will begin to understand the subtle differences in flavors the way wine consumers’ tastes have grown over the years through exposure to better and better wines. Armstrong, who had two grandparents who were chefs, and has a daughter who is a pastry chef, is the artist who defines the taste. It’s clearly in his blood. He’s very articulate about what he likes and what he wants and, as he describes it, he has a rolodex of recipes in his head from years of experience. A little of this, a little of that, and he creates the flavor he wants. Then he hands it off to Lead Brewer, Thane Tupper, who determines the exact recipe, gathers data, and does the testing to recreate the flavor again and again. This combination of artistry and chemistry is exactly what’s propelling Farmstrong Brewing to the forefront of successful microbreweries. 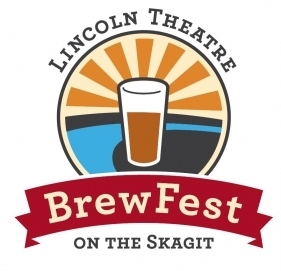 Owsley and Armstrong are quick to compliment the 10 other microbreweries in the Skagit Valley, and they express a lack of interest in acquiring awards, except for the sake of helping the business. But make no mistake, behind their easy-going, good guy, just want to make good beer exterior is a fierce dedication to their craft, their business, and their employees. They already have many awards under their belts. They are two years ahead of their business goals. They have established and grown local relationships that spread out across the Skagit Valley. And earlier in 2017 they launched their latest beer, Valley Gold, grown here, malted here, brewed here. Maybe they won the lottery after all. Cardinal Craft Tap Room Open Every Friday Rest of Summer!